We are a Direct Lender and can give you access to one of the UK's largest panel of lenders, to find the best loan deal available for you. Using innovative technology, LoanPig offers you an efficient, easy and fast application process, which will allow our customers to securely apply for a short term loan. If LoanPig can't find you a loan, we aim to match you with a lender that is best suited to the details in your application. 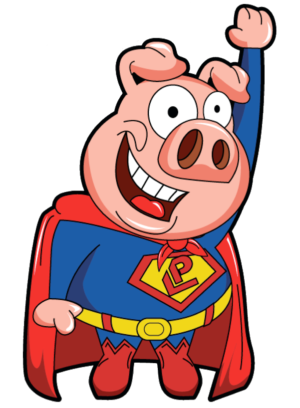 With LoanPig, you can be sure that we will help you to find a short term loan as quickly and effortlessly as possible. We believe in offering people a fair chance to borrow money as soon as they need it and when they need it most. Our customers are important to us; you are at the heart of all we do and we want to work hard to help you out. With our advanced platform matching your details to a dedicated panel of leading UK lenders, your short term loan application can be completed entirely online. If you have specific queries relating to your final application, we can put you in touch with your lender. After you successfully complete your online application for a LoanPig short term loan, the money will with you as soon as possible. With some of our lenders, this could be the same day if the application is completed before a certain time or next day if completed in the evening. We don't store any of your details online so there is no chance of your information being stolen. Our lenders all run equally secure platforms and put your online safety first. Our site is encrypted (look for the padlock symbol in your browser top bar!) so any information we transfer to the lenders is safe too. With our great panel of lenders waiting for your application and already catering for a wide variety of financial circumstances, we're positive we can find the short term loan you're looking for. Our lenders often pay the same day if the application is early enough and your bank account accepts faster payments. Sometimes it might be the next working day and if you bank account doesn't support faster payments, it could be three days. We pride ourselves on the accurate information on our site and all steps of the application should be clear and accurate and you whether you receive a quote from us or our panel of lenders, it will be clear and helpful.